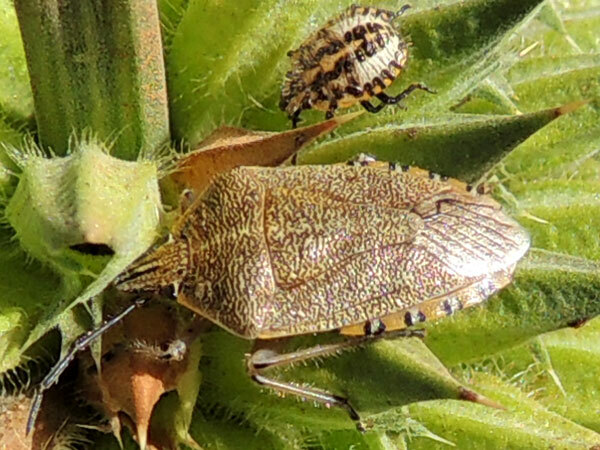 An adult stink bug is flanked by a small nymph, an immature of the same species. Found on Lion's Ear (Lamiaceae) at Eldoret, Kenya. December 2012. Copyright Michael J. Plagens. Page created 2 March 2013.